How's everyone's summer going so far? Are you making excellent progress on your projects, or is it too hot to knit? With the launch of ticket sales a few short weeks ago, we've continued beavering along behind the scenes at the GLYC HQ to make sure this inaugural event is as fun and jam-packed as it can be! Over the next few weeks we'll be letting you in on some of the fabulous prizes we've been able to get our hands on for the after-party, and a contest for you early-bird ticket holders! 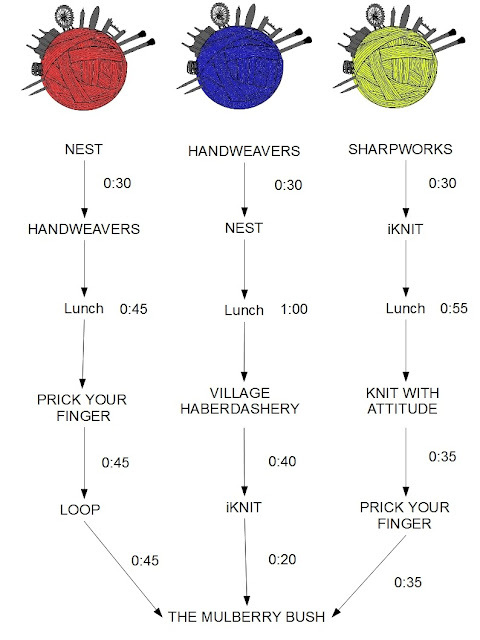 A Canadian company from the knitting-mecca of Toronto, Soak makes liquid laundry soap for all your delicates and especially your handmade wonders like knitting, handspun, weaving, stitching and quilting! Soak is biodegradable, eco-friendly, phosphate-free and comes in a variety of scents, including Scentless, for your sensitive side. Participants in the Great London Yarn Crawl will be getting a mini-Soak in their goodie bags to try it out for themselves (and yes, you CAN get Soak in the UK!). And those of you who make it to the after-party will be in the door prize draw for one of their beautiful Soakboxes! The Soakbox is called Double Pointe Pink and comes with a skein of beautiful Lorna's Laces Shepherd Sport Solid yarn, a pattern for fingerless mittens by designer Fiona Ellis, an Essie nail polish, and a small bottle each of Soak wash and Handmaid, their new hand cream. Check out all the other Soakboxes here and stay tuned for news about our contest for early-bird ticket holders! We write and sell our own patterns. We have an extensive range of yarns, prioritising natural fibres whilst offering something all for all budgets and project type. We are experienced, enthusiastic knitters and offer advice to customers on a daily basis. 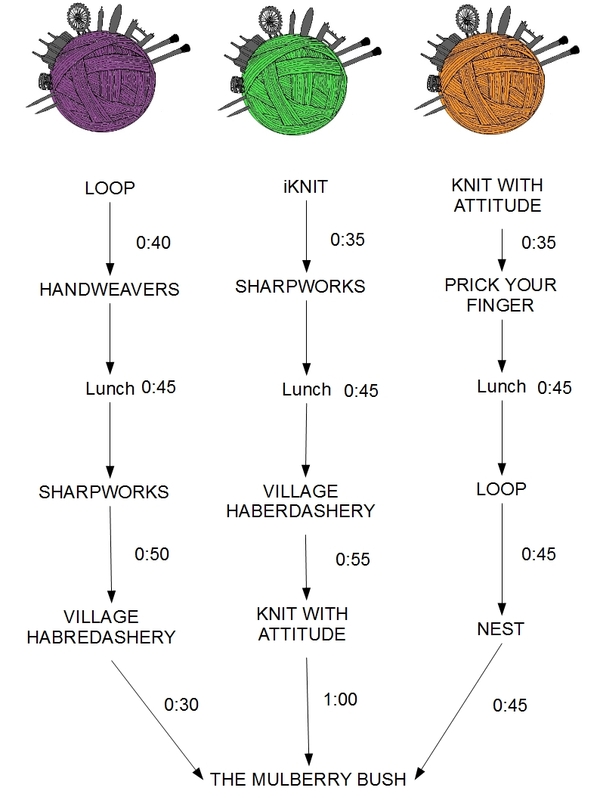 It's really difficult to say which is the most popular yarn. It changes with the seasons although there are some which are always popular, such as sock yarn, chunky yarn and double knitting of all types. 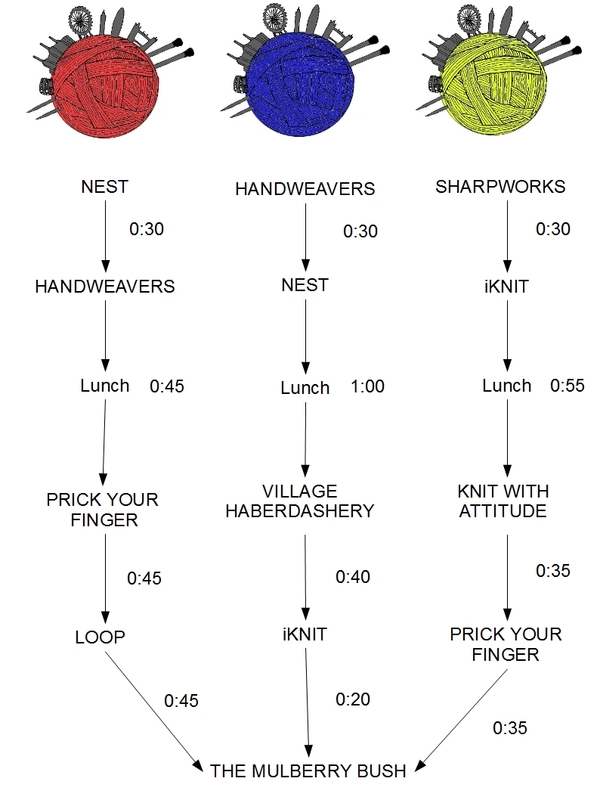 We also sell darning wool everyday! We run a range of knitting and crochet classes, from beginners to more advanced techniques and making up and finishing. We are always ready to help customers with questions about their projects, and people drop in most days for support. We offer advice with pattern and yarn choices suitable for all abilities and age groups. We are right in the middle of Herne Hill, in a small area of independent shops. We're very close to Brockwell Park and within walking distance of Brixton and Dulwich. That wraps up our profiles of the shops for this year. Stay tuned for registration going live next week - we'll announce the exact timing on Monday! Located just steps away from Waterloo Station, I Knit's cozy shop on Lower Marsh is a must-see in central London. 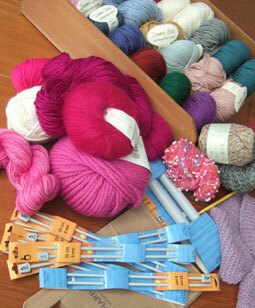 I Knit stocks a wide range of yarns, including a large selection of UK-based yarns and dyers. Brands include Artesano, Colinette, Malabrigo, Fyberspates, Handmaiden and Habu, to name a few. 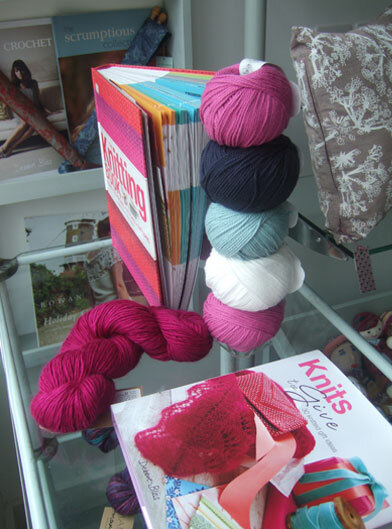 They also stock loads of books and magazines, as well as needles, crochet hooks, and notions of all sorts. 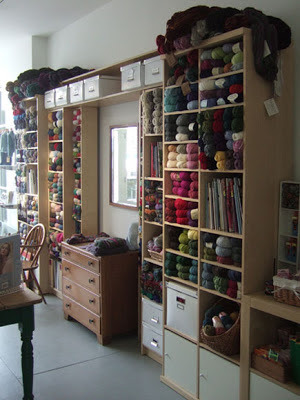 The key feature of their selection, however, has to be owner Gerard Allt's own line of I Knit or Dye lace and sock yarns that he dyes in the basement of the shop. 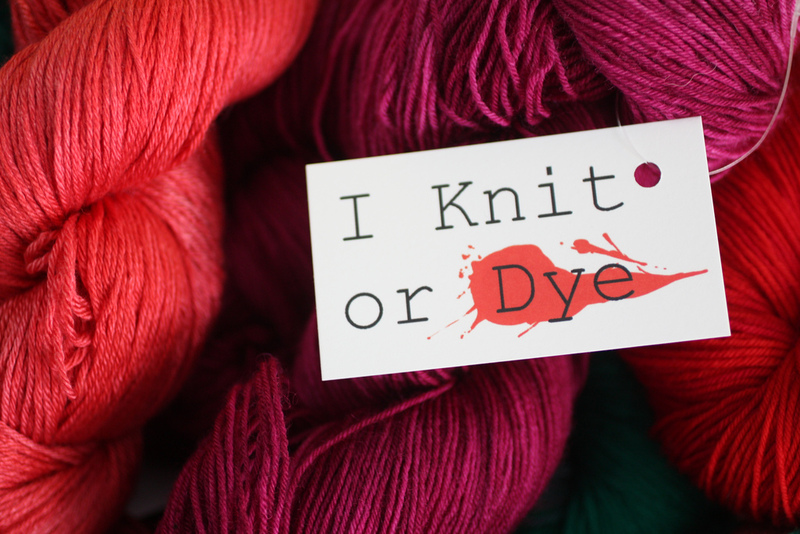 He also runs sock and lace clubs featuring the I Knit or Dye yarns and exclusive patterns. Weekly knit nights (Tuesdays, Wednesdays and Thursdays!) 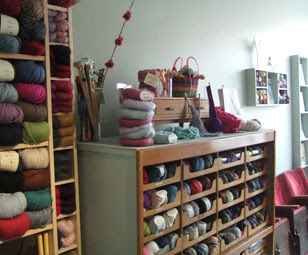 include lots of yarn, fun and adult beverages from I Knit's licensed bar. I Knit offers a range of classes, with beginner's knitting and crochet currently available. 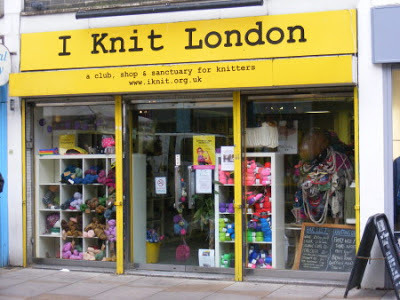 They also have guest speakers coming through the shop, and have hosted the I Knit Weekender, a fantastic weekend celebration of all things yarn, in previous years. We are thrilled that I Knit is a part of the inaugural Great London Yarn Crawl, and if you haven't visited yet, you're going to love it!